Let’s be honest, whether it is an interview for a job or meeting with an applicant for a rental it’s easier to work with someone you like than someone you don’t. In a seat of power where you are the decision maker it becomes important to outline what you are looking for so that you remain protected from showing any type of discrimination that can be used against you. 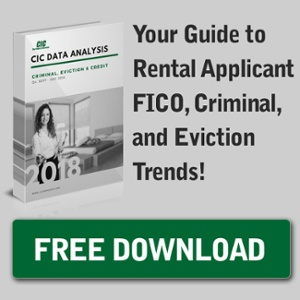 In the rental process this is especially important because making decisions based on subjective information can open the door to all sorts of fair housing violations. Follow these 5 tips on creating an objective rental process and you will greatly improve the protection of you and your owner’s best interests. Social Security numbers, driver’s license numbers, bank account numbers and credit scores – these are just a few of the ways we are identified before anyone even knows our names! The first three have been around for a long time and we are all aware of their importance, but what about credit scores? What are they, and what do they tell about us? Are You on Point with HUD? While there are plenty of ways around being involved in social media for business, having an apartment Facebook is one of the easiest ways to communicate with people on a different level. As of March of 2012, more than 105 Million people in the U.S. are daily users of the site¹. As of last year, the National Multi-Housing Council released that there are just over 40 Million renter occupied homes in the U.S.². Clearly, this is a site that can benefit you as a manager looking for new tenants and longer resident retention – follow these 5 guidelines and you should have a respective following in no time! Are you properly denying applicants? Have you ever had an applicant that required an adverse action letter? Maybe their credit score didn’t meet your criteria or their monthly income was below your requirement. Whatever the reason was, did you make sure to send a proper adverse action letter or notice – because if not, you are violating your consumers rights under the Fair Credit Reporting Act. You need to know constitutes the need for an adverse action notice and what are the best ways to go about providing one or else you might end up with a very disgruntled consumer. Despite the substantial damages from Hurricane Harvey and Irma last month, renters across the U.S. are hesitant to pay for renters insurance. In fact, it seems like natural disasters do very little to convince renters to get insured. The Insurance Information Institute found in their poll that only 41% of renters had renters insurance in 2016 (amid raging wildfires in California and Tennessee, flooding in Louisiana, and Storm Jonas on the east coast). As a lot of residents may believe your property’s insurance will cover damages or theft, it’s all the more vital that you try to convince your renters to take precautions before disaster strikes.